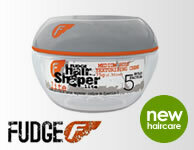 American Crew Daily Moisturising Shampoo is a life saver for dry and frizzy hair that is brittle and without shine. This moisturising shampoo gently rehabilitates the hair and scalp to visibly and internally improve the condition of your hair without stripping any of its natural oils. Containing hydrolysed wheat protein, sage extract and rice bran oil to moisturise and condition hair without weighing it down. 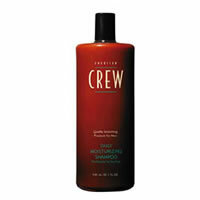 American Crew Daily Moisturising Shampoo soothes and replenishes leaving the scalp healthy and refreshed.